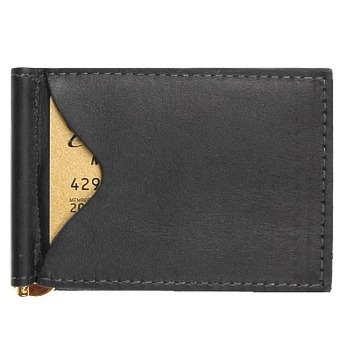 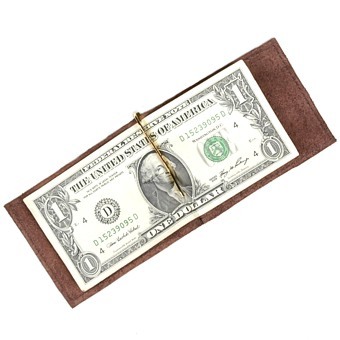 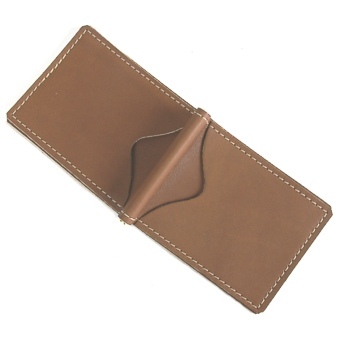 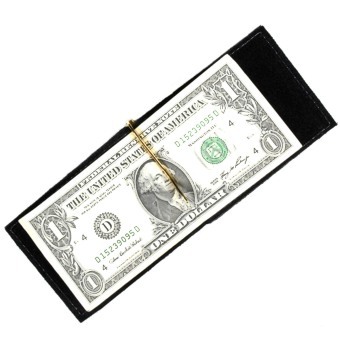 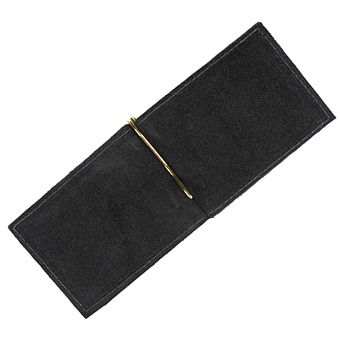 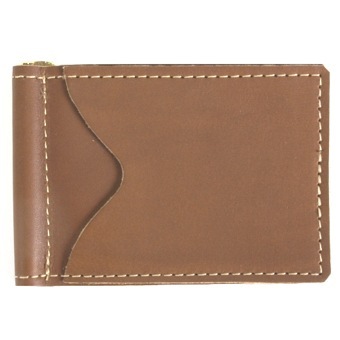 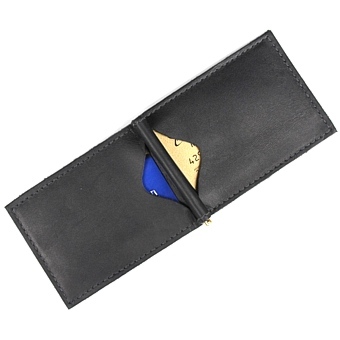 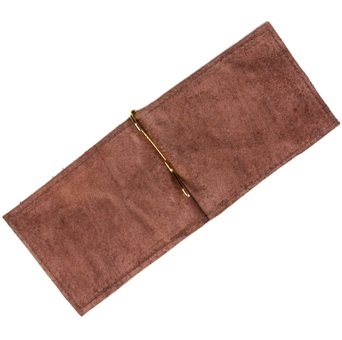 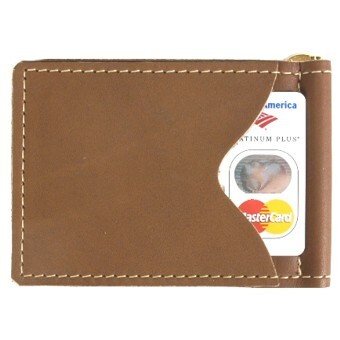 Our Money Clip and CC Holder is a compact and handy way to carry your ID, credit cards and paper money. 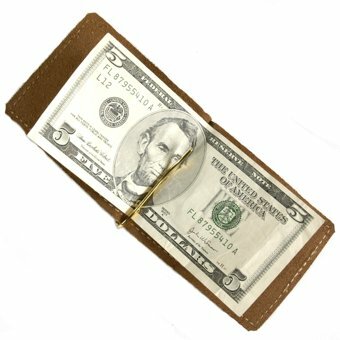 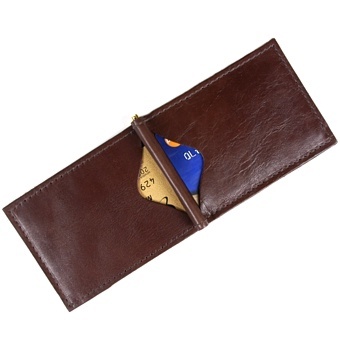 There is a slide in pocket on each side that will hold up to 3 cards each and a strong metal bill hook to secure your money. 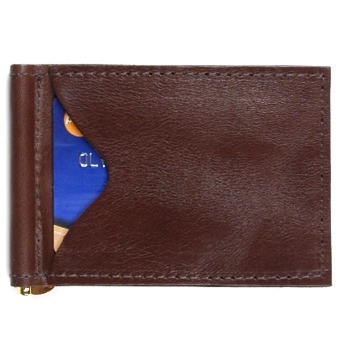 All leather.